The International Monetary Fund (IMF) has just released a report warning that economic growth worldwide is so fragile, policymakers in the top 20 economies, the so-called G20, must immediately prepare contingency plans. With repeated downgrading of its global growth forecasts, and further lowering of its projections likely, the IMF is in effect warning that the world stands on the precipice of a new global recession. It is urging policymakers in major sovereigns to prepare for future fiscal pump priming as a last measure to prevent further demand destruction. Not surprisingly, the IMF report identifies two primary drivers of the underlying fragility of the global economy: China’s slowing economic growth combined with turmoil in her equity markets and the collapse of the benchmark price of oil, inflicting massive fiscal turmoil on the world’s leading petroleum exporting nations. These factors have decimated global commodities and equities and have sown panic in financial markets across the globe. Is this a repeat of the period just before the onset of the global economic and financial crisis of 2008, or perhaps something different, and even more ominous? Time will tell. DONALD TRUMP or HILLARY CLINTON — Who Will Be Elected the 45th President of the United States in 2016? Is Donald Trump Headed To The White House After New Hampshire Primary Victory? Trump as a presidential candidate and political phenomenon challenges any attempt at a balanced appraisal. The Republican Party’s presidential frontrunner has offered an admixture of divisive diatribe with cogent observation (as with his excoriating critique of President George W. Bush’s invasion of Iraq), forming a complex puzzle. This bewildering political persona’s complexity and contradictions prove frustrating to the objective observer seeking to comprehend Trump and his message, while inviting partisan supporters and critics to define Donald Trump to their respective constituencies. In particular, major segments of the mass media have chosen to join with conventional political insiders, especially actors within the Republican Party’s establishment and old guard, in constructing an oversimplified caricature of Trump, and then using their own mythology to justify prognostications that the Trump presidential campaign was a “joke” and publicity stunt, which would end as soon as the self-indulgent narcissist tired of the enterprise. The one description that would never appear in the lexicon of these pundits and observers was that Donald Trump was very serious about his presidential aspirations, and that his campaign was far from being an exercise in humor. When Trump quickly ascended to the status of frontrunner in the GOP’s presidential primary, the pundits and political consultants affirmed that this “summer of Trump” was a seasonal anomaly that would soon dissolve when the Republican electorate became more focused on the unfolding presidential campaign. When the “autumn of Trump” soon followed, these same Washington beltway experts and commentators merely adjusted their rationale while their conclusion remained immutably fixed; when the actual primary voting began, the Trump campaign would inevitably implode. Donald Trump’s decisive win in the New Hampshire Primary may have put the final nail in the coffin of conventional and establishment theories on presidential campaigning in the United States, as a new paradigm has arisen. Its author is Donald J. Trump. The New Hampshire primary is history, with the South Carolina primary soon to follow, and Trump’s double-digit lead in the polls appears unassailable. This poses the following questions: Why did the media get the Trump campaign so wrong? What does New Hampshire suggest for the outcome of the GOP presidential primary? Finally, what do these recent campaign developments reveal about the presidential general election in November? 1. The media largely failed to perceive the power and strategic sophistication of the Trump presidential campaign due to its intimate connectivity with the political establishment in Washington. Journalists covering national politics largely depend on inside sources for the formation of their own insights and estimates of the political landscape. In other words, much of America’s political reporting is funneled through the prism of beltway politicians and consultants, who themselves were to demonstrate a profound alienation from mainstream American public opinion. Trump shrewdly perceived the distrust bordering on universal contempt that a large section of the American electorate harbors towards the political class, and utilized his expertise in branding and messaging to latch on to that deep social malaise. The media largely missed this unfolding phenomenon simply because it took seriously and uncritically the thinking of conventional political insiders, who have proven to be historically flawed in their misjudgment. 2. Trump’s win in the New Hampshire primary only reinforces his already massive and consistent dominance in the polls in the other upcoming state primaries. Early and decisive wins in South Carolina and Nevada will quickly kill any lingering expectations of a brokered Republican convention or a last stand by a still unidentified GOP establishment savior. It would appear at this point that Donald Trump will win the Republican presidential nomination, with no serious impediment to that outcome. 3. There is a new wave of theoretical conventionality in analyzing presidential politics that holds that even if Trump wins the GOP presidential nomination, he stands no chance of defeating the most likely Democratic Party nominee, Hillary Clinton. The same experts and commentators that assured their audiences that Trump’s campaign was a flash in the pan – – and later that he stood no chance of winning his party’s nomination – – are now thumping their chests with assurances that Hillary Clinton will defeat the real estate mogul in a landslide. I suspect that this thinking is as flawed as earlier predictions of Trump’s imminent political demise. 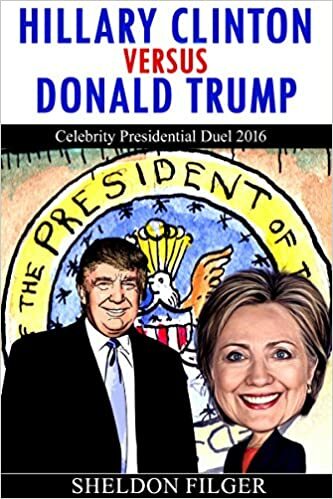 A Donald Trump versus Hillary Clinton battle for the presidency will be a no-holds barred test of power and wills between two political celebrities. Separating Trump the business and political strategist from the unfiltered commentary he often unleashes to the distress of many, it is clear, at least to this writer, that far from being impulsive, Donald Trump and his political organization have carefully mapped out a campaign strategy that provides a clear path to victory in November. We already have early clues from the manner in which Trump has attacked Hillary Clinton on a host of issues, including her email controversies, her perceived failures as Secretary of State and the scandals involving her husband and former president Bill Clinton. A lack of concrete accomplishments in the course of her public life, alongside the present difficulties she is encountering with a challenge for her party’s nomination from a 74-year old independent socialist senator, Bernie Sanders, points to Hillary Clinton being far from invulnerable as a political campaigner on the national level. Her defeat to Barack Obama in 2008 – – then a newcomer to national politics – – is a reminder that Hillary Clinton is not universally admired even within her own party. In a presidential election that will in part be a referendum on the Obama administration, and with Trump far more likely to arouse enthusiasm from his supporters than his presumptive Democratic challenger from hers, it is inexplicable as to why the political establishment , including its media complex, still clings to their theory that there exists no credible chance of Donald Trump being elected 45th President of the United States.